Best of Three: ETS Season 3 – Week 7: Kalis wins! It’s no secret that Kalis-based decks are some of my favorite decks, so I was ecstatic to see it make a Top 8. Then Waladil just kept winning, up through a 3-0 finish in the Grand Finals. I’m selling the rest of the event a bit short, though – Kalis wasn’t even the only Combo list in the top 8! We had 8 different decks in the top 8 this week. People discovered their personal way to attack the meta, then executed on their plans successfully. We also had the Last Chance Qualifier this weekend! 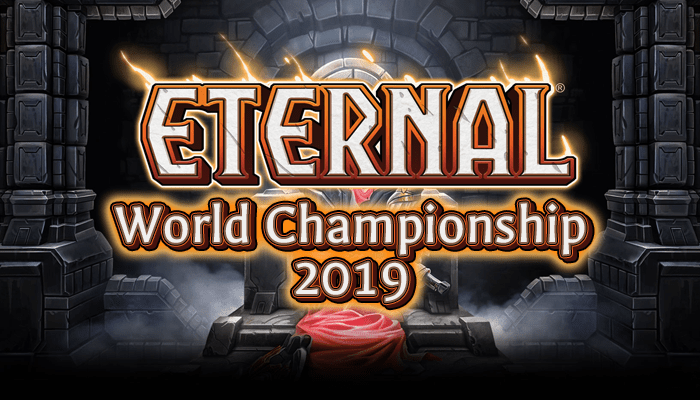 I will touch on the results of this event, but as it is a restricted event (anyone qualified for the Invitational may not enter) and the Top 8 do not play out, I will not be including it in my stats for this article. A playlist of the VoDs from the event can be found on our YouTube channel. As always, the bracket and decklists for all events from Season 3 can be found on our tournament results page. This was primarily Juaspas and Waladil piloting their decks to Top 8 finishes. The success of Midrange is falling, as Control decks seem to be building to go over the top of Midrange and out-value them. Aggro also not did not fare well, though more experimental Aggro builds were brought to the ETS this week, as we saw our first appearances of Field Captain and Ijin, and a rare sighting of Censari Brigand. Armory representation continued to drop, down to only 2 players this week, and its poor performance explains that. As I mentioned earlier, our Top 8 for this event was very diverse – the only really known tournament quantity for this meta was Angrychicken’s Big Combrei. Even then, his list included a 1-of A New Tomorrow, which he says performed well for him during the event. This is Angrychicken’s 4th event and third top 8, all with Big Combrei – his worst result was 4-2, not making Top 8 on tiebreakers. Despite showing up halfway through the season, he’s posted one of the most impressive records of any of our players. Icaria Blue has historically not seen much tournament success, with this event being its break-out performance. However, Marius has remained faithful to the deck – this is his 5th time playing Icaria Blue in ETS Season 3. While Icaria Blue doesn’t have the greatest matchup vs go-wide Obelisk decks, akin to Armory, it does have a generally stronger performance vs time-based Midrange/Control decks. Elunex also piloted Feln Control to its best performance in Season 3, though in the post-1.18 meta, I’m not surprised to see it have success – Ilyak also went 4-2 in the Swiss with Feln Control, although he did not make Top 8 based on his tiebreakers. This list is similar to the list that Graduation has been piloting in top 5 Masters on the Ranked ladder, although Elunex decided to push the Lightning Storms entirely to his sideboard, which is a good call for the typical ETS meta. Hooru Control made Top 8 for the second week running. Last week it was Hulkbuster (splashing Fire for Ruin) and this week it was Ozymandias, with a bit more standard of a list – if you can truly call a list with main deck West Wind Heralds standard. This deck has been a little bit of a “known quantity” for awhile, with people saying that it’s “sleeper”, but it’s never really panned out on ladder. However, the generally slower tournament meta is possibly what a deck with 4 Channel the Tempest as finishers needs to really shine. An interesting note for this deck is that Scarlatch and LSV have been teasing new, enemy faction cards to be released in the very near future. Both Xenan and Praxis cards have been confirmed, and if we assume that every faction will be represented, that means the last card will have to be Hooru. Aeronas brought the New Rakano Hotness, Ijin Rakano, to a Top 8 finish! He was inspired by both ManuS and Truedawn’s take on the list when he put together his 90. Unearthly’s said he hasn’t been impressed by this version of the deck, but you can’t disagree with making Top 8 in a field that’s fairly hostile to Rakano. We ended up following Juaspas during the last few Swiss broadcast rounds because he was doing well and … well, because his deck is sweet! It’s an FTS Tokens style list, but the inclusion of Ephemeral Wisp, Vault of the Praxis, Scraptank, and Witching Hour makes the deck into a more of a controlling, combo based list. This list taxes the opposition’s silences, spot removal, and board clears when it can go off, though it sometimes fails to do so. I would highly recommend watching the VoDs of his games. TJP Midrange has been seeing evolution over the last couple of months, originating from Aegis-rod / Aegis “Voltron” lists and Shimmering Combrei (with the joke that this list should be called “Shimmer-less Shimmering Combrei” … nah). Thundershot himself has been piloting iterations on these lists for months, and this time he’s finally managed to make a deep run in a tournament. Waladil’s Kalis list varies from the “stock” Kalis list by being a hair greedier on his mana base, going for only 25 sources + 2 fetches, and including 2 Oblivion Spikes in their place. As Vara’s Favor loses some of its luster against Midrange and Control decks, and those decks give you longer time to set up without applying their own pressure, these changes make sense. Waladil’s sole loss in the event was actually to Thundershot in Round 4 of the Swiss, a match that was shown on our broadcast. Thundershot took it 2-1, losing the pre-board game and rallying to a win. In the Grand Finals, Waladil sealed the first post-board game, therefore sealing out the series. The LCQ this season felt a bit parasitic to the event before it, though given how important the games are, I cannot blame players for bringing what had been proven the day before. Rewind has been iterating on and refining Felnscar for a long time, and he was a force to be reckoned with in Season 1, taking 3 Top 2 finishes. He’s been in a bit of a retirement – along with Lv13David and Calimdir, but they all managed to claim their spot in the Invitational at the last second. The meta is still shaken up by the recent changes in 1.18 and still hasn’t completely settled. As this week has shown, a wide variety of decks have what it takes to make deep tournament runs. I hope we see the same variety in the Season 3 Invitational, next weekend!